Local councillors have given their backing to a cycle/footway between Bridge of Muchalls and Stonehaven parallel to the A90. However, the challenge will be to secure funding for the missing link. In a report to Aberdeenshire Council’s infrastructure services committee, director Stephen Archer said that a feasibility study jointly funded by the sustainable transport charity Sustrans estimated the scheme would cost approximately £1 million. At the Aberdeen meeting, North Kincardine councillor Ian Mollison called for the cost benefit analysis to be carried out as quickly as possible so that the project could move forward. He was assured by Ewan Wallace, head of transportation, that officers were working with Transport Scotland and Sustrans on this. The council was “pushing the boundaries” to take this forward. 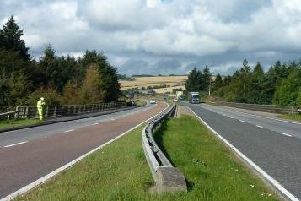 Stonehaven councillor Graeme Clark described the cycle/footway as a missing link, with the current narrow path only feet from fast-moving traffic on the A90. He was aware of residents using the path to cycle from Stonehaven to work in Portlethen. More people would do that if it were a safe, well-maintained route. Fellow Stonehaven councillor Wendy Agnew questioned whether local farmers had been approached to see if the land would be available. She was assured by Mr Wallace that this had been done and much of the land was already owned by the council or Transport Scotland. A further report will go back to the infrastructure services committee in July.